Cyprus is one of my frequent painting destinations, with great joy I travelled there once again for Street Life Festival celebrating its 10 year anniversary. I painted at this occasion two giant murals, one in Limassol city centre and one in the small town of Athienou. 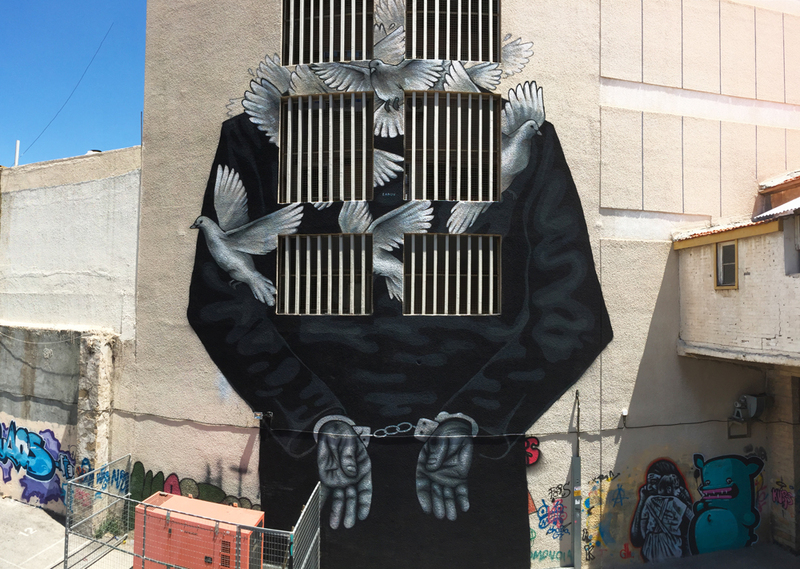 The first artwork, painted on a building with large windows with bars, depicts a man hand-cuffed with birds flying off. 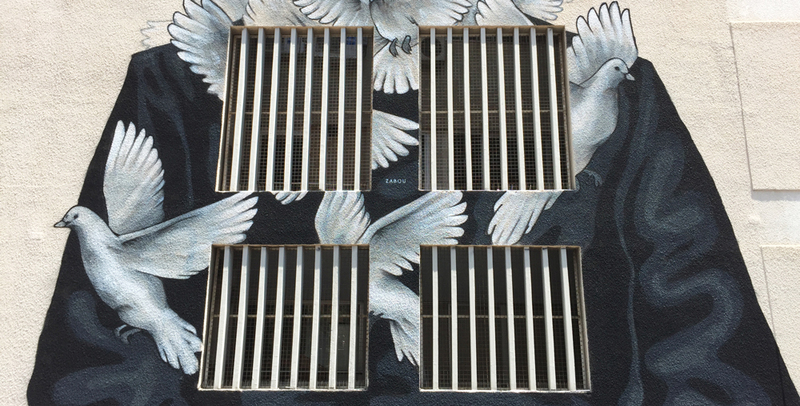 I was inspired by the space to create something about prison and freedom. 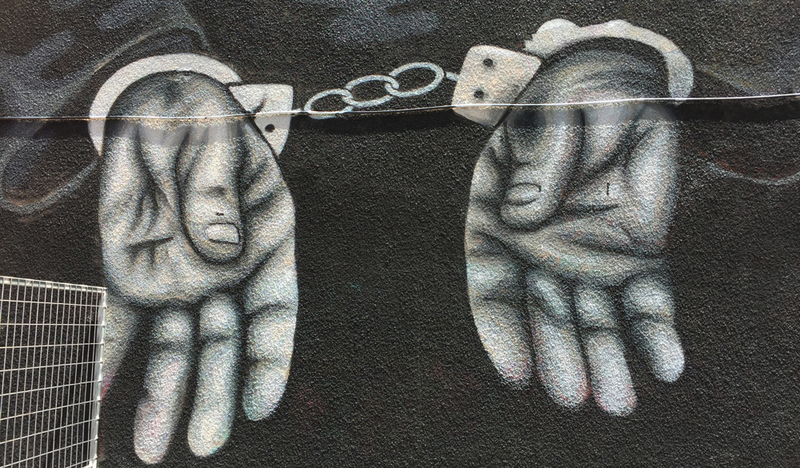 Despite being chained, a person’s spirit can be free. 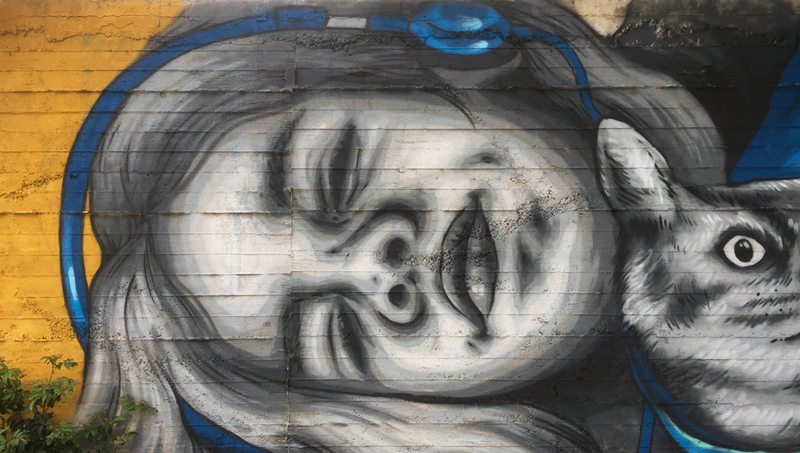 The second mural, painted in Athienou, depicts a little girl laid down, holding her backpack where her cat is peeking out, and listening to music – with a walkman! How old school. I wanted to paint this feeling of being by oneself, feeling good and taking the time to think, to breathe, to relax.